Earlier this year, Microsoft announced it was investing in B&N’s Nook line. Since then, rumors have occasionally surfaced about a Windows-powered Nook. When these rumors surfaced in the past, no release dates or timeframes came with them- they were mostly just speculation. Now we have a new rumor from an anonymous source claiming that a special event will introduce a Windows-based Nook at the end of September. According to the source, a conference will b e held at their Union Square flagship location in New York City. We don’t know anything about the hardware though. As for competition? More than likely, the Nook won’t attempt to truly compete with the major, full-featured 7-incher tablets out there. This means it will target the Kindle Fire and Fire HD, primarily. Windows-Based Nook, Can It Compete? This is a tough question. The Kindle Fire HD has some pretty strong specs, and Nook tablets have yet to truly find major success with Android. A shift to Windows will make the Nook unique, which could help. All e-reader-centric tablets run Android right now, and so the Nook would give book-loving tablet users a great Android alternative device. It’s hard to say what kind of specs a Windows-based Nook would target, or even what OS it would use. 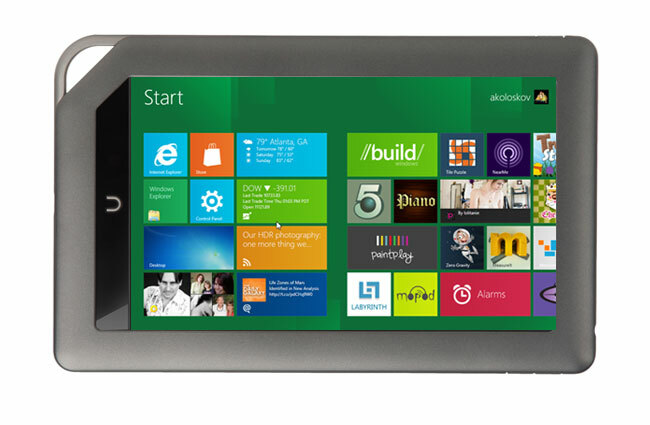 The rumors say “Windows 8”, but that doesn’t mean it won’t come with the ARM-based Windows RT or even Windows 8 Embedded as an alternative. If it’s going to have a custom UI, which seems likely, I’d wager that it will use Windows Embedded or Windows RT. Such a tablet would have full access to Windows Store, while Amazon’s tablet doesn’t use Google’s Play store- so that could be an advantage. Windows Store has few apps right now, since its only in BETA, but it could likely catch up to Amazon’s 50,000 apps pretty quickly. Ultimately price will play a big role here. If a Windows-based Nook is powered between a Fire and Fire HD, has official Windows 8 features like Metro and has a price point of $199 or less- it might do quite well. What do you think? Would you be interested in a Windows-based Nook?